Inni Kraal Accommodation - Colesberg Accommodation. 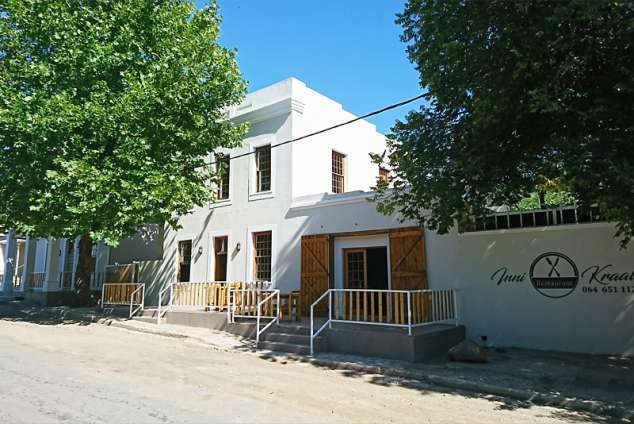 Inni Kraal Accommodation situated in Colesberg at 3 D'Urban Row, Northern Cape. The buildings date back to the late 1800's. We are walking distance from the shops. We have two units available each with one double bed and two single beds. There is an open plan kitchen area, coffee station and bar fridge. Limited DSTV channels. Unit one has a shower, toilet and basin. Unit two has a bath, toilet and basin. Secure parking with guard on duty. The units are self catering but on the premises there is a restaurant namely Inni Kraal Restaurant. 2028 page views since 07 Jun, 2017. Last updated on 08 Dec, 2018.